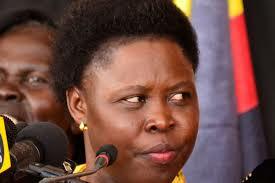 State Minister for Primary Healthcare, Dr Joyce Moriku Kaducu has warned that cholera is still looming in Kampala following the registration of new case from Kasanga, Makindye Division. Early this month, Ministry of Health received reports about the outbreak of cholera in Kampala city and the four suspected cases were reported on January 4, 2019. Subsequently, an isolation unit was established at Naguru hospital on 5th January, 2019. From the time of onset of the outbreak, 41 suspected cases have been registered of which 18 have been confirmed cases of cholera. Unfortunately, there were two cholera deaths that occurred from the community because the families did not seek treatment. Speaking at media centre, Dr Kaducu said, a total of 37 discharges were made from the isolation unit while 77 contacts were listed for follow up. 37 of the contacts completed the nine day follow up as 40 contacts remain under watch. “Out of 41 suspected cases of cholera, 18 of the reported suspected Cholera cases were from Kibowa in Rubaga division. However, there are some cases reported from surrounding areas of Kampala City,” she said. Currently according to the minister, there are two admitted cases of cholera one from Kibowa and another from Kasanga in the isolation unit China-Uganda Friendship Hospital, Naguru however they have improved and soon they will be discharged. She appealed to the general public to boil drinking water, wash hands with soap and clean water, cook food thoroughly, and avoid eating cold food, collect water from national water taps and seeking treatment in the nearest hospital upon seeing cholera symptoms.